A new way of getting informed. 35-64 y.o, high income, 60% men. Business decision makers. 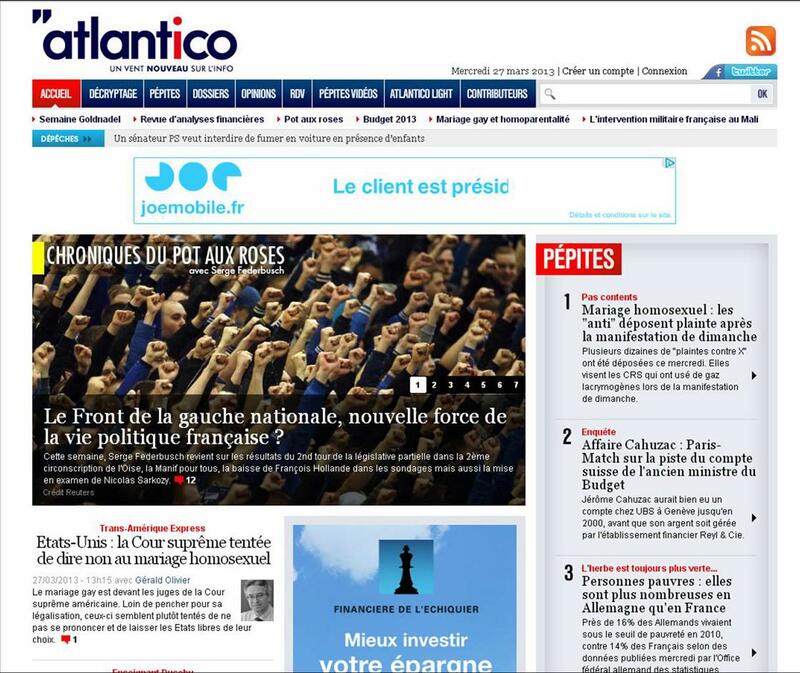 ATLANTICO.fr is France's new way of getting informed.